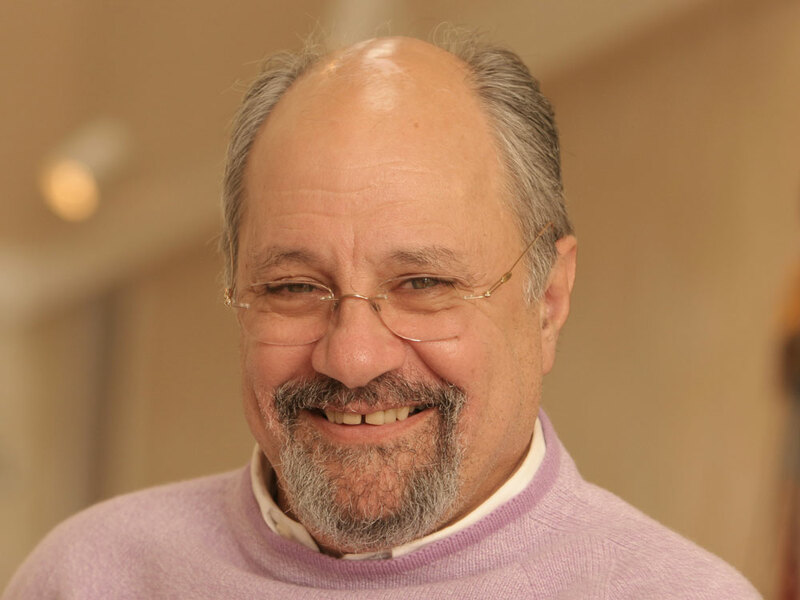 Fresh Air Interview: Dr. Dan Gottlieb - 'A Grandfather's Message To His Autistic Grandson' More than 20 years after a car accident left Dr. Dan Gottlieb paralyzed, his young grandson Sam was diagnosed with autism. Gottlieb, a psychologist, started writing his thoughts to his grandson about what it's like to be different — and what they can both teach the world. Dan Gottlieb hosts a mental-health call-in radio show on WHYY. In 1979, was in a near-fatal car accident that left him paralyzed from the chest down. Family therapist and call-in radio host Dan Gottlieb has helped many people through some of the most difficult passages in their lives. He's also endured a great deal of physical and emotional pain of his own: More than 30 years ago, a car accident left him paralyzed from the chest down. Four years ago, Gottlieb wrote a series of letters about being different to his young grandson Sam, who had been diagnosed with autism. The letters were collected in Gottlieb's book, Letters to Sam. 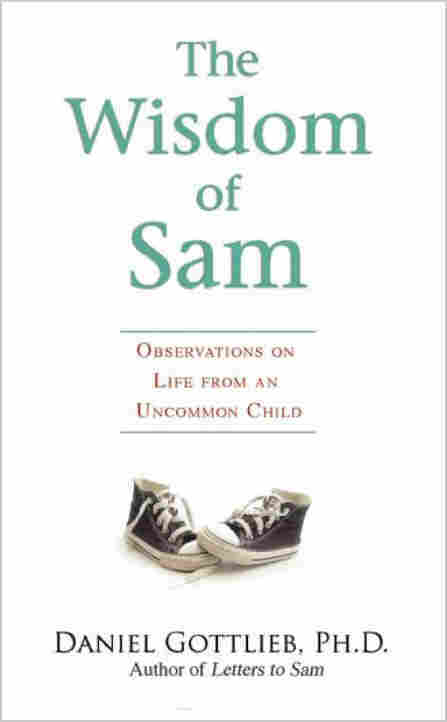 Gottlieb has now authored a second book about his unique relationship with his grandson, called The Wisdom of Sam: Observations on Life from an Uncommon Child. Gottlieb details how seeing the world from a different perspective is illuminating for both grandfather and grandson. In a 2006 interview on Fresh Air, Gottlieb explained to Terry Gross how surviving his car accident changed his way of looking at the world. "When my neck broke, my soul began to breathe," he says. "I became the person I always dreamt I could be and never would have been if I didn't break my neck. And with each time I faced death, I became more of who I am and less worried about what others might think of me." Gottlieb hosts a weekly call-in counseling show, called Voices in the Family, on WHYY in Philadelphia. He also wrote a column about mental health issues in The Philadelphia Inquirer from 1993 to 2008. This interview was originally broadcast on April 25, 2006. When Sam was younger, he loved to draw pictures with crayons. As a budding artist, he was a study in concentration. There was something princely about the way he sat at the kitchen table, his feet dangling, his thick brown hair bowed over the sheet of paper that commanded his complete attention. When he concentrated really hard, his tongue poked out of the left corner of his mouth. I don't know where his artistic inspiration comes from, but I do know that it has been encouraged by his mother, Debbie. We all learned shortly after his diagnosis that loving adults in his environment needed to keep him engaged so that he wouldn't get lost inside his mind. Debbie was with him constantly and involved with his activities from then on. And with that safe and secure presence, Sam began to flourish; over time, we all watched him become more engaged and more comfortable in his world. So whenever Sam sat down to draw pictures, Debbie stayed nearby, her presence providing reassurance -- and when Sam became wrapped up in what he was doing, it was clear that he was not getting lost inside his mind anymore. Still, he relied on Debbie's presence and sometimes he would call on her. When Sam makes a picture, he is keenly aware of color, and nuance is important to him. This is not unusual for children on the autism spectrum: they are very sensitive to sensory stimulation and the wrong color can be visually irritating. I became aware of this when Sam was about six years old. He and I were talking and I happened to make some comment about a green shirt someone was wearing. "Actually, Pop, that's aquamarine," Sam said matter-of-factly, not knowing that his pop really had no idea what aquamarine was. Though that was the first time I learned about Sam's acute awareness of colors, Debbie found out much earlier. One day when Sam was about five years old, he sat down to color a picture. Debbie, as usual, was nearby, and Sam asked her to hand him crayons as he named the colors. Though Debbie was doing her best to assist Sam, she was also trying to finish up a number of things in the kitchen, which left her momentarily distracted. She wasn't paying close attention when Sam requested the color turquoise. Debbie glanced quickly at the crayons in the box, picked one, and handed it to Sam. Unfortunately, the crayon she handed him was light blue. On the verge of applying crayon to paper, Sam's hand froze in midair. He seemed shocked. Raising his dark eyes to regard his mother, he spoke with an uncharacteristic edge in his voice. "Mommy, I asked for turquoise." Debbie retrieved the light blue crayon and handed him the turquoise one. Sam's searching gaze never left her face. He studied his mother, trying to fathom what had gone so terribly wrong. "Mommy," he concluded. "You weren't paying attention!" "I know, Sam," Debbie confessed. "Will you forgive me?" I'm not sure that I, or Debbie, or anyone but Sam would have felt what he was feeling at the moment he realized the awful truth -- that his mother (such a seemingly caring and loving human being!) had betrayed him in so casual a manner. To most children with autism or Asperger's, a milder form of Pervasive Developmental Disorder, the devil is in the details, and Sam is no different. When things are orderly and predictable, his comfort increases, but surprises are deeply unsettling. Now that Sam is eight, while surprises still come thick and fast, he can often identify what's bothering him. When he was younger, that wasn't the case, and he responded in ways that disturbed and frightened us. There were tantrums that reached a level of uncontrolled violence when, for no obvious reason, he would repeatedly bang his forehead against the wall or floor. Sam didn't speak until he was nearly four years old, which only added to his frustration with the world. 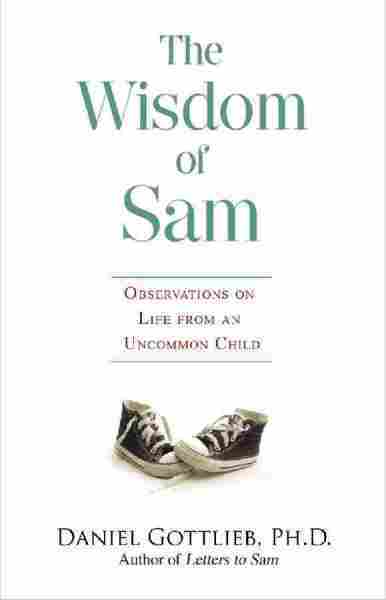 But by the age of five -- with steady therapy and guidance from family and teachers -- Sam had come to a much better understanding of what distressed him, and he was starting to learn how to tell us. There were no more head-bangings and fewer tantrums. Obviously, Sam felt great frustration at finding the wrong color crayon in his hand, but he had been able to explain the source of his frustration! So I admired the way Sam expressed himself. I also admired his honesty about forgiveness. Sam, to his credit, understood how much he could forgive. His mother asked for complete and categorical forgiveness. Sam couldn't go that far. What he could manage was to forgive her "just a little." Hearing Sam's words, I felt as I often do -- that his starkly honest and unmediated response conveyed his own particular brand of wisdom. Sam, like all of our children, has something to teach us. This time, the lesson was about honesty and forgiveness. Sometimes I feel that it is not easy for me to forgive someone who has inflicted severe pain on my heart. I know that I have committed many mistakes with my neighbors, brothers, and sisters . . . therefore, I know that I have often received forgiveness from them and I will have to beg forgiveness from them in the future. However, because I am not a perfect person, sometimes it is very hard to forgive my colleagues who have hurt my feelings -- which eventually causes depression. I know that Jesus asked us to forgive our brothers and sisters, always and consistently. However, I am not a perfect person like Him. Sometimes, what Jesus asked of us sounds like another violence to me. Because I am not a perfect person like him, it is very difficult for me to live like him. What's violent about what he believed Jesus asked of him? Perhaps at the deepest levels, it feels violent when we ask things of ourselves that are unreasonable. Here we are, after experiencing an injury, being told that the right response is forgiveness! What if, instead of placing unreasonable expectations on ourselves, we take a look at who we are and what has happened to us? Once we get away from the lofty theological, philosophical, and psychological preaching, this whole business about forgiveness is really just about managing injury. It's about finding a way to live with injustices, large and small. When we are dealt an injustice, it comes as a shock to the system. A number of times, I have been asked to describe the car accident that left me a quadriplegic. What I learned, some time after the accident, was that an entire wheel and tire had broken loose from an oncoming truck, flown across the road, and landed on the top of my car. My only memory of that moment -- and the answer I give -- is simply this: "I was hit by a black thing." After that, life as I knew it was forever changed. But I also believe it is an accurate metaphor for what happens to all of us when we experience trauma. A black thing comes out of nowhere, and in an instant life is altered. Isn't this what happens when we experience a divorce or the death of a loved one? In an instant, we are in the grip of a disaster that destroys the world as we know it. One moment, we are walking down the sidewalk on a sunny day, and the next moment there is no sidewalk. No sun. And no day. Only darkness. Afterward comes confusion and terror. But somewhere in the mix, most of us experience a silent rage because we feel something has been done to us or taken from us against our will. As we carry that rage, we look for a target and yearn for justice. I spent over a year with seething rage that was directed toward the truck driver, having violent and sadistic fantasies. Then I found out that a tire and rubber company was the cause of my accident, and I wished a lifetime of unhappiness for those who contributed to my suffering. The truth is, for most of us, justice represents just one thing -- the ability to reclaim what we have lost. It is the longing for what we had yesterday or the day before. And, of course, when we try to pursue justice that way, we fail. Every time. I'm sure each of us can describe the essence of an injustice we've experienced. For me the injustice originated in the engineering department of a prosperous, cost-conscious tire-and-rubber company where massive metal wheels for trucks were being designed. A number of people in that company knew their wheels had a design flaw. Under certain circumstances, a truck wheel could come loose from one of the trucks that they put into production. The wheel could fly across the road or down the highway and land on top of a car. And if that happened, the passengers of that car could be killed or injured. Knowing all this, they made the decision to go ahead and build an unsafe product. That is how, and why, I was injured. For Sam, the fact of the injustice is a turquoise crayon instead of a blue one. The stories differ, but the experience of injustice is similar for all of us. When we experience it, we feel shock, outrage, and helplessness. And we realize how extraordinarily vulnerable we are. So how do we cope with these feelings? Clearly, what has happened to us is wrong. If the injury was perpetrated by someone, then that person is wrong. I knew the company was wrong and I was an innocent victim. Knowing that, we open the gates to great anger and righteous indignation. We mobilize those around us to agree about right and wrong, to assure us how entitled we are to our anger. So we wrap these feelings around us like a threadbare coat in a snowstorm in an effort to protect ourselves from our own vulnerability. It doesn't help, but it's all we have. My dictionary defines forgiveness as a "letting go of resentment." I'm sure that's what forgiveness is supposed to be. But how do we let go if we believe our anger protects us from further injury or, in some strange way, holds a perpetrator accountable? Resentment and righteous indignation distance us from our own pain, and we need distance to survive. At least initially. But when resentment continues, it becomes toxic. It might not matter whether they are wrong where we are right. What matters is that we were hurt and forced to suffer. What matters is that we lost a piece of our life and now we are vulnerable. What matters is that we need compassion, and the safety and courage to feel what we feel. When that happens, when our suffering finds its voice, our heart softens and opens. And rage turns to grief -- a deep and heartfelt grief for what we have lost. In the ideal world, the person who hurt us would bear witness to our pain and feel genuine remorse. But that is often impossible. What is possible is for us to bear witness to our own lives. To listen to the suffering with compassion, sadness, and love. And then it is safe to grieve. So, how does grief turn into forgiveness? I believe forgiveness is a spiritual process, which requires faith. Not necessarily faith in a higher power, but faith that broken hearts heal. Faith that we have all of the resources to recover and be loving and compassionate once again. Faith in the knowledge that true healing is not about reclaiming yesterday but fully opening up to today. "Sure, Jesus talked about forgiveness, but he also talked about caring for those who suffer. The reason you have closed your heart to those who hurt you is because you suffer. And the longer your heart stays closed, the longer you suffer. There is only one thing that opens hearts: compassion. Do you think you could offer yourself compassion? When you are hurting, do you think you could love your wounded heart without hating someone else at the same time?" After I mailed my letter, I realized that there was something else I wanted to add. I wanted to say: "Don't worry about forgiveness. Allow your wounds to heal. Allow your heart to heal. And then use the wisdom you have acquired to help heal the world. Don't pursue forgiveness. Allow it to follow in the wake of your life. True forgiveness asks you to be able to find the other person's humanity. You cannot do that until you find your own." When we are wounded and alone, we need people who love us enough to look in our eyes and see our suffering. That's what Debbie did for Sam. She was able to see that he was truly hurt, not by the turquoise crayon but by his mother's distraction at a time when he needed her full attention. If Sam had behaved in a more "grown-up" manner, perhaps he would have felt obliged to try to forgive his mother completely. Perhaps he could have reflexively said, "Yes, I forgive you, Mommy," without even noticing that he was hurt. Or he could do what most adults do: forgive out of fear of causing conflict. Or he could hold a grudge so that he could have the illusion of control. But there is too much tenderness in Sam. He was hurt, and he knew it. Perhaps, in some way, he also knew that this small injury would heal. So he forgave his mother as much as he could—"just a little." And then, as always, life went on. Sam never did any more work on his forgiveness. As far as Debbie could tell, he thought no more about it. Whatever sense of injustice lingered inside him probably dissipated quickly. That's what happens with children. They somehow know that hurt feelings get better. Maybe that's another lesson we need to learn from them. From The Wisdom of Sam by Dan Gottlieb. Copyright Dan Gottlieb 2010. Reprinted with permission by Hay House.